Showing 5 articles from February 7, 2013. Two thousand and thirteen is already a month and a half old. A lot of folks start to think about tax time for 2012, and all the other year-end things that begin or end at this time of year. 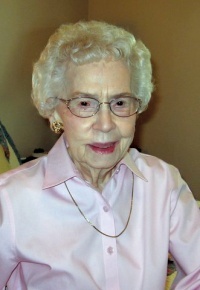 Dixie Meyer, 92, a long time Winlock resident, passed away on January 28, 2013 in Temecula, California. Dixie was born in Dardanelle, Arkansas January 2, 1921. After graduating from nursing school she moved to Houston, Texas, working as a nurse, when she met and married Lt. James Cunningham of Winlock in 1942. He was killed in action during World War II. In 1945 she moved to Winlock and lived with his parents while working as a nurse in Dr. Fishbach's office. The City of South Bend, Mayor Kirk Church and city council are actively working with Washington Department of Fish and Wildlife (WDFW) to make it more expensive for citizens to use our property by paying unreasonable access fees. We have all heard the President saying the rich need to pay their fair share. Well in Pacific County, who are the rich? 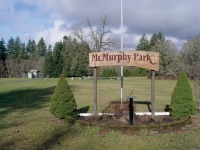 Members of the Vader Park Board said installing electricity at McMurphy Park is a real possibility this year, now that financial contributions from the City Hall are available. $5,000 has been budgeted for the board this year, as opposed to no funding in the recent past, and will become available as property tax payments are made to the city in May and November. Coupled with $3,800 remaining from a $4,000 donation by the Country Cruiser’s Car Club, members said electrifying the park is now a matter of finding time and volunteers.